Like semi truck accidents, bus accidents tend to be more complicated to litigate than usual passenger vehicle accidents. 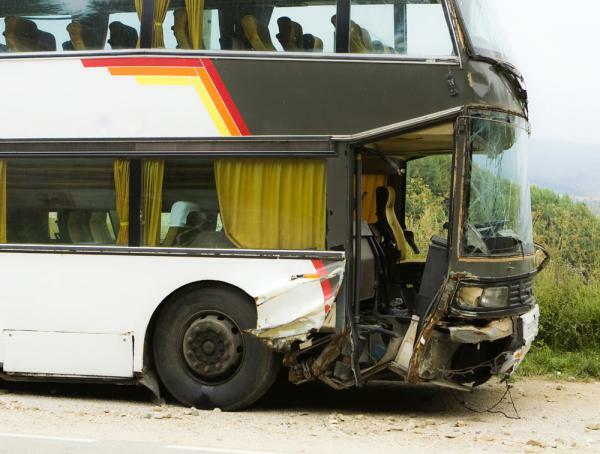 If you or a loved one is injured in a bus accident, determining who is responsible can be daunting, and the laws and regulations surrounding the operation of mass transit vehicles such as buses can be difficult to sort out. Depending on the type of bus involved, who is responsible for its operation, and other factors, your suit may include the bus driver, the driver’s employer, and/or the agency through which the operator contracts. It is important that you establish the facts as soon as possible, to ensure that you have the needed documentation to support your case, and so that you don’t miss any applicable statutes of limitations that might limit the time you have to bring suit. Once you’ve received immediate medical attention, your first step should be to give an experienced accident lawyer a call. We can help sort out who is responsible for your injuries, and can help you get the compensation you need and deserve. Contact Long & Long online or by phone at (251) 432-2277 for service in Mobile and Baldwin County, Alabama today!